I’m very interested in any data to help businesses maximize their return on investment with social media. So I was happy to see ForeSee Results publish some simple findings recenty in their Key to Driving Retail Success with Social Media: Focus on Facebook (note: this is a PDF file that you download). They surveyed 10,000 visitors to the top 40 online retail Web sites. Note: “Friend” and “Follow” refer to customers agreeing to have an online connection with a retailer/brand. The table below indicates how dominant Facebook has become — it’s more than twice as popular as #2 YouTube and more than 3X as popular as MySpace. While Facebook is clearly dominant, the report points out that 25 of the top 100 online retailers do not have any formal Facebook presence. And finally, here’s some insight into why consumers interact with businesses through social media. I’ll continue to share whatever I find on improving your ROI through social media. 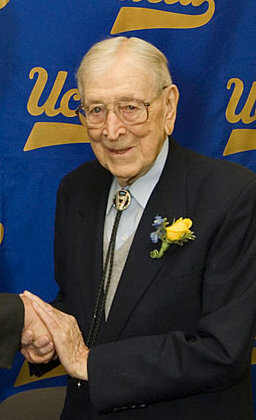 I was captivated by John Wooden’s childhood stories, especially what his Dad taught him. In Wooden: A Lifetime of Observations & Reflections On & Off The Court by John Wooden with Steve Jamison, Wooden says his dad gave him a piece of paper with a list of things that would guide him for the rest of his life. He would use this guidance to shape his career, marriage and general philosophy. At the end of the day, there is no one whose opinion matters more than your own…so be true to yourself. The old saying: “Give and you shall receive” is a powerful one. While your motivation for helping others should not depend on others helping you back, it is surely true that you will receive back more help when you take a giving attitude. Think of this: If we all practiced helping others, we all would be helped…and we surely all need help at some point in our lives! Wooden reads the bible regularly and has said that if there were just one book someone had to read, it would be to read a little bit of the bible every day. Friendship and family (which I find Wooden uses interchangeably) are key to success in life, but they require some work. Pretty self-explanatory…however, I don’t think Wooden means this literally. A shelter could be physical, financial or emotional…family and friendship, afterall, are perhaps the most valuable shelter to be building in your life. Wooden certainly believes in a higher power — here’s a video of Wooden reciting a relevant poem (Wooden loves to write poetry). To see more of Wooden, check out this cool talk by Wooden at the TED conference and a John Wooden profile on Charlie Rose (including interviews with Bill Walton and Bill Russel). A hero of mine is John Wooden who describes himself simply as a teacher; and who is known by many as the former UCLA College Basketball coach with perhaps the most successful track record in the history of sports. Teacher Wooden turns 100 this year and I’ve decided to share some of my favorite nuggets of wisdom from him in this series of postings (note: Teacher Wooden died on May 4, 2010, just short of his 100th birthday). What can Wooden’s lessons do for you? If you practice these learnings I believe that you will be more successful in business and in life. Are You Missing The Boat on Performance Advertising? The popular and talented Lisa Riolo stopped by my virtual office the other day to talk about Performance Advertising, why it’s important to your business and her new Impact Radius startup. Most everyone understands how “advertising” works. The difference with a performance model is primarily how the pricing works. When the media with the audience (sometimes called the publisher) agrees to receive their revenue after the advertisements generate results (meaning the consumer actually responds to the ad and, usually, buys something)–you’ve got performance advertising. This approach creates a lot of accountability within the advertising model and let’s everyone involved measure their effectiveness in promoting and selling products. Q: You have enormous experience in this space…would you walk us through the history of performance advertising (at least the major milestones)? Sure. About ten years ago–performance represented about 5% of the total spend in advertising for both online and traditional media. In the time since, the processes used to buy and sell traditional media haven’t changed much. Performance advertising online, on the other hand, has grown substantially and now represents more than 60% of the spend. Why the difference? Affiliate networks, which aggregates the companies willing to advertise on a performance-basis, started gaining real momentum in the late 90s and early 2000s. Search engines have also played a key role by opening up greater distribution of ads to a proactive audience. Offline media hasn’t had a centralized location to discover the real value of performance deals. Instead, the brokers often times pocket up to half of the money being offered for a sale or lead. Further, I think technology was a big factor in the enormous growth online. Not only do we easily track consumer response online, we deliver the associated data and metrics real-time. So, the speed of optimization (which is critical to effective performance advertising) is rapid–especially compared to traditional media. We were amazed to learn that traditional media, which is equally metric-driven as online, waits days, sometimes weeks, to see the data associated with a performance campaign. Our objective, with Impact Radius, was to deliver the same type of technology that online advertising considers commonplace to offline media. If all of performance advertising were to have a single technology platform to manage their relationships–the opportunities for growth are exponential. Q: Which types of businesses should care about Performance Advertising and why? On the advertiser-side, any business that has established basic awareness of its brand and products should take a serious look at running performance campaigns. Media partners (meaning companies with media properties that generate some revenue through advertising) should, at the minimum, run some ads on a performance-basis in order to continually establish the baseline value of their ad inventory. I’ve had so many business-owners, after hearing about this model, say that all advertising should be priced with a performance component. Unfortunately, they also doubt that the media will agree to run ads on a performance basis. So, finding a willing media partner is usually the challenge for a smaller or new business trying to sell their products and services. This is why it makes sense for an advertiser to list their “offer” with a company like Impact Radius. It’s easier to discover media partners that will promote them on a performance basis. That said, either company (the advertiser or the media partner) can usually get a deal in place if they are willing to add a performance component. It is the metric driven approach and the resulting accountability that brings a negotiation together. Q: Can you share any success stories of businesses using Performance Advertising? I love to reference companies like Zappos and Netflix as great examples of online businesses that built their original customer acquisition strategy on a performance advertising model. Each one of these companies let performance-pricing drive their early advertising efforts and partnered with companies large and small to refer new customers. Perhaps more interesting, though, are the companies that earn significant advertising revenue on a performance basis. Many companies recognize that Google makes a lot of money advertising within their search engine. Google doesn’t charge for eyeballs, though. Google only charges its advertisers if consumers actually respond to an ad and click through. The measured response and resulting fees makes that a performance advertising model. Other companies, like Upromise, earn revenue not only for sending visitors to an online retailer like Zappos, but because those visitors actually complete a purchase. Upromise takes a portion of the money earned on a performance-basis and sets it aside for a child or grandchild’s college tuition. What I find most exciting, though, is that TV, radio and print media are (to varying extents) struggling to generate ad revenue. In doing market research for Impact Radius, we discovered that many of these media companies will run more ad inventory on a performance basis than was previously believed. The media companies understand that if their audiences respond to ads and generate new sales for the advertisers they can earn big dollars. Local newspapers can get a piece of every coupon redeemed or every phone call made. Q: What are some Performance Advertising tips that you can provide businesses out there? Advertisers, when approaching media partners, should start off with a “hybrid” pricing model. Spend some up-front money on placement and add the performance element (e.g. $5 for every incoming phone call or 5% of all merchandise sold) on the back end. Track the results and make sure both sides have access to the performance reports. Once your local radio station starts getting reports showing their effectiveness at driving sales or leads–they can optimize their efforts. This approach gets everyone aligned and working toward the same end objective. As a deal grows, it makes sense to utilize a third-party tracking technology. This is also a relationship business. It is critical, for the model to work, that both advertisers and media partners are in direct communication. Nobody should be in the dark about your partner or its capabilities. Q: Who are the main players in the Performance Advertising space right now? In the online world, most all advertising is managed on either a CPA or affiliate network. The upside of this is that most of these networks do offer the ‘trusted’ third-party tracking technology. The downside is that the partners do not work together directly and, in the case of the CPA networks, are completely hidden. The biggest companies selling merchandise or acquiring new customers (i.e. with performance advertising campaigns) include nationally recognized brands like Amazon and eBay. There are a lot of small to mid-size businesses, and even start-ups, that build performance advertising into their plans. There are literally thousands of companies, from bloggers to coupon and deal sites to media brokers, that get paid on a performance basis. Q: How is Impact Radius positioned in the Performance Advertising market? We’ve brought the tools and technology to both online and traditional channels–and have introduced a “clear box” philosophy that ensures direct negotiation and communication. We can track online, call and promo code conversions. What is also unique about Impact Radius is that we’ve automated all of the processes involved with ad placement, deliver of the data and the exchange of money. Media partners are excited, for a number of reasons, including that they can paid for the results they’ve driven as often as daily. This improvement in cash flow gives them significant potential for accelerating growth. Q: I understand Impact Radius has some unique capabilities — that said, who do you consider Impact Radius’s closest competitor? Some people have said we’re a better alternative to the affiliate and CPA networks. I do think we’ve improved on some of the standard product features you’d find in a network, of course. But the biggest adoption I think we’ll see are the private relationships that migrated off network. The private, in-house relationships are usually kept off network either because of the costs or rules established by the third-party. So, we really compete with in-house solutions since we’re providing the flexibility and controls of their internal tracking with the added scalability and features usually found only within a network environment. And our pricing is aligned with the advertisers and media partners interests. Q: What’s the best way for someone to get in touch with you or Impact Radius? Visit the recently unveiled Impact Radius or you can find me on Twitter @lisariolo or at my blog. My pleasure. I look forward to sharing more in the future. Until then, wishing you and your readers continued prosperity! Numbers are so fascinating — I just realized that if Facebook were a country, it would be the third largest in the world (see rankings below). Are you and your business prioritizing Facebook high enough? Who’s got more Internet users: Facebook or China or India? Who would you rather have as your customer-base: every person in the United States or every member of Facebook? Will Facebook rival China & India as a supplier to Walmart? Facebook is often described as closed — will Google face the same challenge of indexing Facebook content as it has indexing content of China? You’ve likely heard of Twitter by now…seeing as 50 million+ people have signed up to try this service that let’s you type in 140 character messages (tweets). I signed up for Twitter almost a year ago but have only recently started to get the swing of it (you can see my profile at RobDunsonKelly). Who Sees Your Twitter Posts? Anyone can — whatever you type into the “What’s Happening?” field can be seen by anyone who is “following” you (see below) or even a stranger who finds your posting by browsing and searching Twitter (unless you send a “direct message” (see below). How Do People “Follow” You on Twitter? People may follow you simply because they saw your Twitter address in your auto-signature, on your LinkedIn or on your blog or you told them about it by phone or in person. But most important is that people will follow you on Twitter through the valuable tweets you contribute. As mentioned above, strangers will follow you as they find your tweets — so Twitter is a great way to meet new people. How Do You Follow Other People on Twitter? You can follow anyone on Twitter you want as long as you can find their Twitter name (which you can do by clicking “Find People” from the upper right hand of the Twitter home page and searching them by name (even if their Twitter name is not their actual name). When you first sign up for Twitter, it will ask you if you’d like to import your email addresses into Twitter and see who of your contacts is on Twitter (and then you can automatically follow them all or just select ones). You can also follow people you don’t know whether it be a celebrity like Britney Spears or Bill Gates – go to TwitterHolics to find the most popular Tweeters — or a random stranger you find browsing through some of the Twitter lists. Is All This Following Mutual — Can I Unfollow Someone Any Time? Unlike LinkedIn or Facebook, Twitter does not require that two people follow each other. In other words, you can follow a celebrity like Bill Gates and he does not have to follow you. How Do You Send a Private Twitter Message (also called a Direct Message)? If you want to type a message to someone on Twitter (and have only them see it), you type the letter “d” (for “direct”) immediately before their Twitter name (note: you can only do this to someone who is following you). Check out here for more on How You Send a Private Message. If you see a tweet that you think your followers will find valuable, then you can retweet it by clicking the Retweet icon next to the tweet (that Tweet will now show up on the list of tweets that your followers will see). Check out this link for more on How ReTweeting Works. So, if you want your Tweet to be grouped with other like Tweets (so that they can be found by Twitter’s search engine or by other sites such as HashTags.org, you simply add a “#” symbol before a word in your Tweet. That way, you and the other folks who have that hash-tag in common can more easily find each other. Twitter provides lists of popular hash-tagged terms. Here’s a list of tweets about the subject Warren Buffett. note: the person you mention can see that you mentioned them through the right-hand side of their Twitter home page (or by using one of a number of tools such as TweetDeck). Twitter can be a more efficient way to reference a Web page than the traditional method of email since it’s faster for you to do (you don’t have to type in the recipients names into Twitter) and it is then searchable by the Twitter community (your email isn’t searchable by others). To reference a page on the Web using Twitter, you can: A) Paste in the URL into the “What’s Happening?” field on Twitter (e.g. @RobDunsonKelly wrote an interesting article on Twitter Tips at http://robdkelly.com/blog/social-media/twitter-tips-for-beginners). This is a fine approach but since Twitter allows you only 140 characters (including spaces), you won’t be able to fit some URls in (my previous example is 134 characters so it just made it). To shorten a URL, you can use a URL shortening service such as bit.ly or tinyurl.com. I prefer bit.ly since its URLs are shorter and it also provides analytics (so you can see how many people click on the URL you put up on Twitter). To shorten a URL on bit.ly, for example, just go to http://bit.ly and type the URL you want shortened into the field at the top and then bit.ly will provide you with a shorter URL (which will forever point to the original URL you wanted to share (unless bit.ly were to go out of business and screw the people who have shortened hundreds of millions of link). There are also services such as TweetDeck which will automatically shorten a URL for you (you just type in the original URL and TweetDeck will shorten for you using bit.ly, TinyURL or another URL shortening service you choose). I’ve found it super-useful to refer to job postings I know about using Twitter/bit.ly — it’s quick and I can then see how many people clicked on the URL and where they came from (Twitter versus LinkedIn or Facebook (assuming I posted the job there too which I often do). Finally, if you use more than one of the following social networks: Twitter, LinkedIn, Facebook or MySpace, you may want to try one a tool such as TweetDeck or HootSuite or Seesmic. These tools can allow you to both read and post through multiple social networks at once! I use TweetDeck which requires you to download software to your hard drive. HootSuite is a competing tool that offers a little less functionality than TweetDeck but it is Web-based so it can be used by you on any computer that has Web access. Check out this video that gives you a quick demo of TweetDeck, HootSuite as well as two other related tools called NetVibes and Ping.fm…Seesmic is another player in this space though they’re not in the video. Is part or all of your business in the need of a transformation — A truly radical change? My smart friend Daniel Neukomm riffed on Harvard Professor John Kotter’s theories on mistakes commonly made in corporate transformations (hint: if you AVOID these mistakes, you can indeed transform your business) – enjoy! While a professor at Harvard Business School, John Kotter had the opportunity to gain valuable insight into an array of companies ranging in both size and scope. In doing so, he identified eight key stages of transformational development in which companies failed to manage the change process. He theorized that those companies that had been successful did so only by effectively negotiating all eight steps. He further noted that those firms who skipped any of those steps, or failed to recognize the importance of them were sacrificing quality and effect for speed of change, giving the illusion of being quick but in realty building a platform for failure. In addition to illustrating a series of opportunities to fail, Kotter also provides some insight as to how to overcome these commonly experienced errors. The lack of a sense of urgency of transformation is the leading cause of why, and the primary stage of where business fail at effectively managing change. Many companies struggle simply to be able to identify the need to change when circumstances arise that warrant doing so. Firms are constantly exposed to the need for change, from the emergence of new foreign markets to the presence of new, more powerful competition in the marketplace. Kotter notes that more then 50% of companies fail at this initial stage for numerous reasons. Most notable of those significant reasons of failure at this early stage is the gross overestimation of current and prior efforts of urgency by corporate executives. Many senior managers feel that they have already recognized and leveraged the existing need for urgent transformation and as such lack the necessary motivation to shift the rate of change into high gear. Another important factor is the imbalance between those who dictate change and those who simply implement change. Firms with too many managers and not enough leaders often experience this dynamic and it adversely affects the ability to change efficiently. Kotter offers the relatively simple solution of implementing mechanisms that establish a sense of urgency among employees. He further states that the need to aggressively achieve cooperation is essential as this impacts a firms ability to identify and discuss potential threats and pending crisis. The need to be able to clearly identify the market, and its competitive realities is also mentioned as a key solution to lack of urgency. Creating a powerful coalition is essential to guiding practical and effective transformation within a firm. The lack of importance placed on the need to achieve collective support is the second stage of error as cited by Kotter. He states that in both large and small firms alike there is an increasing need to build support across a wide range of people involved in both the decision making and implementation process. Many firms believe that just having the senior management team on board with new ideas for change is enough. In fact, there are many moving variable in the dynamic for change and as such many different roles, and the people who fill them, are required to achieve efficient transformational change. For example, large firms undergoing aggressive transformation into a new market require the support of investors, board members and product development staff, but perhaps key customers as well. Lacking a vision can be an obstacle in almost any process, and most certainly in a corporate environment. Without a clear and defined vision it is not hard to imagine the difficulty experienced in trying to convey instructions and instill motivation in others to perform. Furthermore, the lack of a clear and concise vision can be equally de‐habilitating, as broad sweeping goals can be difficult to break down into measurable achievements. Kotter offers some relatively straightforward and simple solutions to the absence of a clear and concise vision. Ensuring the existence of a vision is obviously at the top of the list as this is the source of the problem. Many companies have visions that are bland and generic, often open to interpretation which in turn leads to misunderstanding. Kotter suggests that having a vision that can be communicated clearly, to anyone, in less than five minutes is essential to having that vision realized. The absence of an easily understandable vision can cause confusion in the workplace and hinder fluid change in any organization. Even with a clear and concise vision, the ability to communicate it effectively to everyone in the company can is vital to facilitate its purpose. Kotter points out three patterns in which companies fail to effectively communicate the vision. Many firms often attempt to utilize a single communication to instill a new vision in every employee, such as a meeting or an intra‐company memo. Corporate directors continuously repeat the vision through speeches to employees who often do not have a clear understanding of what is being stated. The most obvious solution to this issue is to implement a system whereby directors not only communicate the vision but also lead by example and execute the stated vision consistently. Furthermore, all available vehicles should be utilized to deliver the vision to all stakeholders of the organization. Communication itself is not enough on its own to instill the goals laid out by the visions of the company to encourage and facilitate change. Numerous obstacles exist for corporate officers in their quest to see their visions brought to fruition through the actions of employees. Solutions for this problem lay in the design and structure of the system as it pertains to the vision of the company. No longer can a corporation have an aggressive vision and an incentive based pay structure that does not reflect the long‐term goals of that vision. For example, if the vision of a health company is to provide medical treatment, incentive programs cannot be structured to reward saving the company money and reducing the bottom line by paying more to those employees who refuse to provide medical services. Unfortunately, this is largely the practice of US medical insurance firms. Many companies experience turbulence in the transformation process by not creating short‐term goals. More firms have trouble in keeping employees motivated to achieve long‐term goals due to the lack of immediate return on efforts being made in the short‐term. Kotter mentions that most people will not commit to the entirety of the project if there are not results in some measurable returns within the first 12 to 24 months. Kotter offers some simple yet valuable insight yet again in this stage of transformational change by suggesting that managers break up longer‐term, more complex goals into short‐term, more manageable targets. The creation of the short‐ term wins in this context so long enables a more momentum driven process, typically allowing for more accurate achievement of the longer‐term goal. Establishing visible and more measurable performance improvements and then rewarding employees for achieving those milestones will enhance the corporation’s ability to implement change and realize transformational fluidity. While establishing short‐term wins is key to the success of managing change there are also some disadvantages which can arise form this strategy as well. Kotter points out while short‐term wins are encouraged there is some danger in give incentives to employees to reach a larger volume of small scale project achievements. This danger arises from employees and managers alike striving for accomplishments that have emotional and financial bonuses attached because there will be a need to declare victory sooner than what is best for the organization. There is an ironic relationship between those who resist change and those who support stated in Kotter’s theory. He mentions that while change initiators are quick to declare themselves victorious in their ability to effectively manage change is often the change resistors who step in an solidify a failure. This is due to the fact that such resistors are looking for any opportunity to stop the change process and declaring victory provides that opportunity. In an effort to solve the issues surrounded by premature victory celebrations Kotter points out that managers should focus instead on their increased credibility to implement change into systems, structures and policies. Moreover, managers should promote those employees who recognize and implement the vision of the organization, establishing a momentum driven transformation process and achieving long terms goals rather then racking up points on a project score board. He further states that the transformational process needs to be constantly reinvigorated with new projects, themes and new agents to implement them in order to capitalize on momentum. Perhaps the most interesting error mentioned by Kotter is the inability of a corporation to solidify whichever new process of change deemed effective. On many occasions companies failed to ensure that new behaviors were integrated and relied on in the future. Two important factors are noted for this lack of integration. Many firms fail to show exactly how the previous change efforts have lead to enhanced performance, leaving the many to make this connection on their own. This can lead to assumptions, or worse, lack of recognition all together as to what aspect of the transformational process were successful and why. The second factor rests arises when successful change management is not integrated into new management successors. If a successor does not fully grasp the importance, understanding and simple foundations of how and why transformational efforts where successful within the organization he/she can wipe out much if not all of the progress generated under previous management. Solutions to this problem are readily available to managers. In the former, simple efforts to communicate the reasons for successful transformation should be made to ensure a clear, broad, company wide understanding of the reasons for success. An example of this would be the use of company newsletters outlining the relevant information necessary to understand achievements and why they were possible so that al employees can identify opportunities for future success. Change Management Class Notes. (June, 2008). International School of Management. Paris, France. Kotter, John P. (1995, April). Why Transformational Efforts Fail. Harvard Business Review. Senge, Peter M. (1990) The Fifth Discipline: The Art and Practice of the Learning Organization. , Random House Publishing, USA. If you enjoyed this article, you may also want to check out Daniel Neukomm’s other pieces such as: Why The Home Page Is Dying and Porter’s Five Forces.